The Byng High School HealthCorps Club brings together an awesome group of students that are committed to being involved in planning and participating with all HealthCorps related events we do at the school. 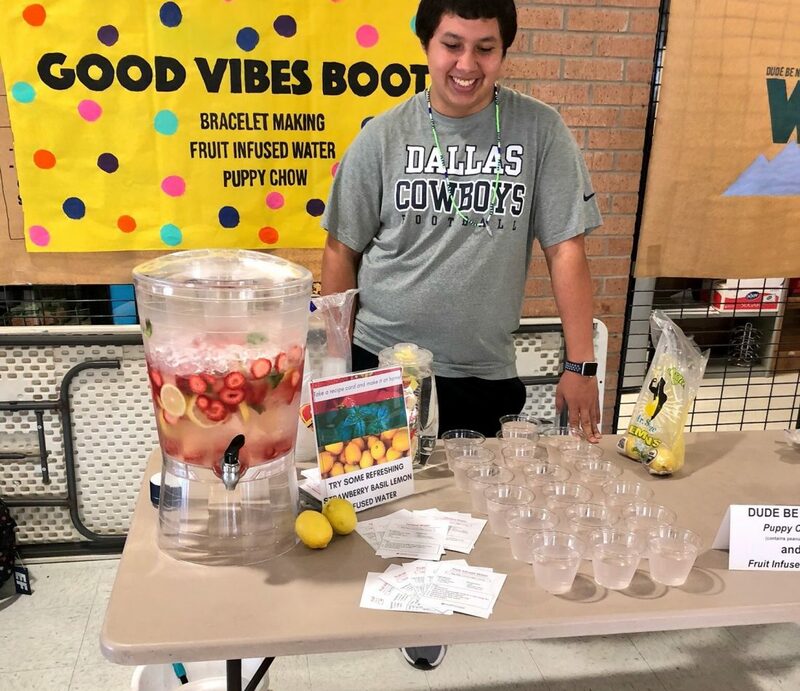 Everything from the Health Fair, to teacher appreciation, to our monthly Café O Yeas: they put in a lot of work to promote health to the entire school population. During one of our first meetings this year, I challenged the club to look for things in the school that they felt needed to change or any idea at all that we could work on as a team. They came back to the next meeting with great ideas, and we have been able to put one of the ideas from a club member into motion! Which brings us to the story of why we now have different infused water in the Student Center once a week! Meet Isaiah: He is an 11th grade student and HealthCorps club member, and he LOVES infused water! 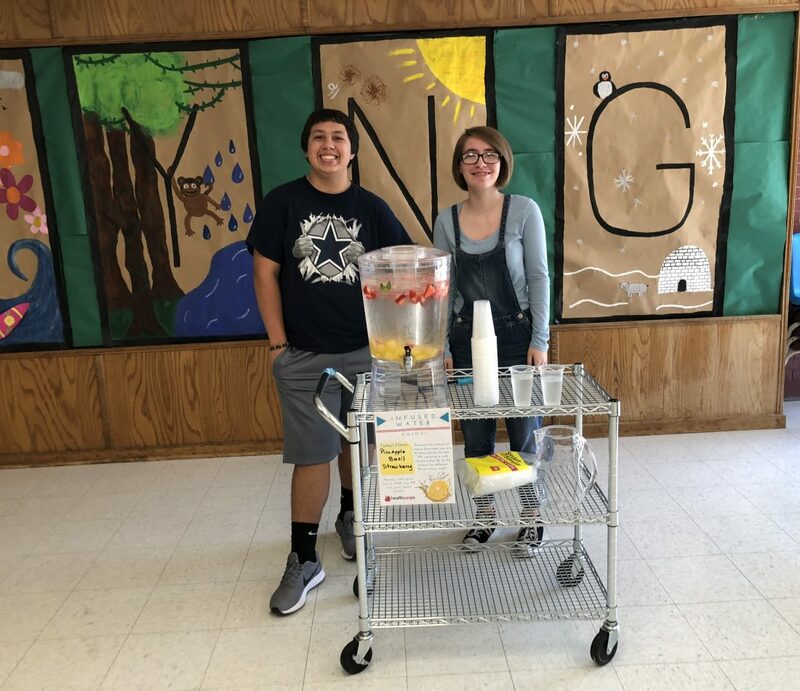 He came to me and asked if he could start an infused water booth during lunch for the school and put it in the Student Center after he noticed his peers drinking a lot of pop. He comes up with different recipes each week and makes the water and asks his peers and teachers for suggestions on what kind they want to try next! He has been doing this for about a month and is refilling the water dispenser at least one time during the thirty-five minute lunch period! I interviewed Isaiah to ask him a few questions about his infused water station and this is what he had to say. Q: How are you liking doing your Hydration Station? Q: When did you first try and know you loved infused water? Q: What made you want to bring infused water to Byng? Q: How do you plan what you are going to infuse with next? Q: What do you think of the water flavors? Q: Why did you join HealthCorps Club this year? It has been so fun to watch Isaiah run his water station. I can see how much it means to him, and I know others enjoy seeing his smiling face roll the water cart down the hall towards the Student Center with cups in hand! 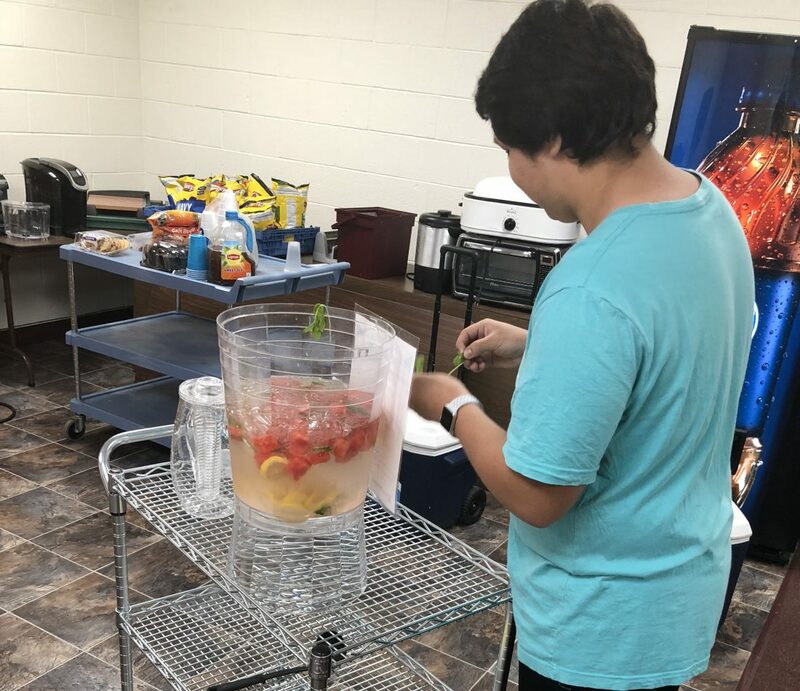 Kelsi, a Byng student said, “It’s very tasty and refreshing” when asked what she thinks about the infused waters. 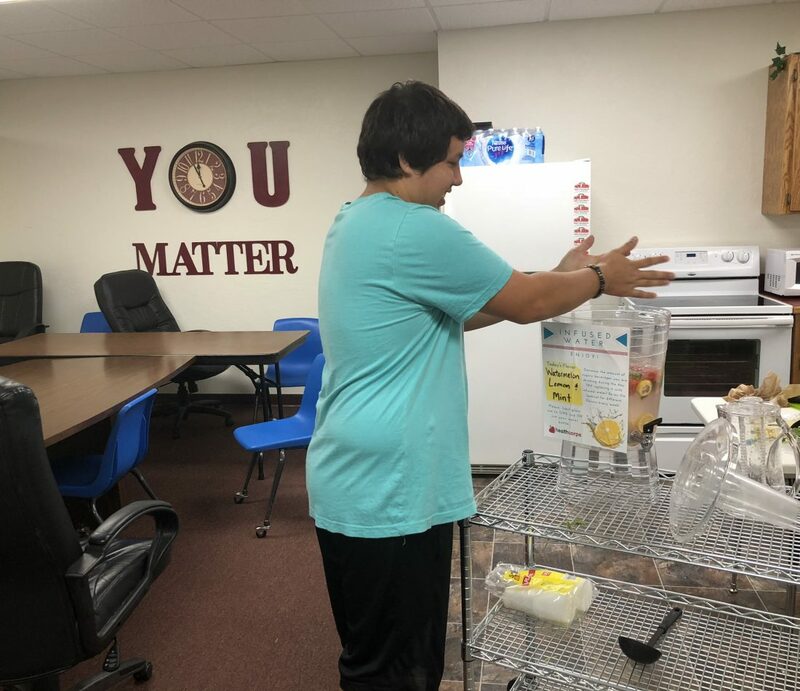 We’re so proud he is making an impact here on Byng Campus one infused water recipe at a time!